Since receiving independence from Great Britain in 1957, the Yang di-Pertuan Agong have served as the Heads of State in Malaysia. 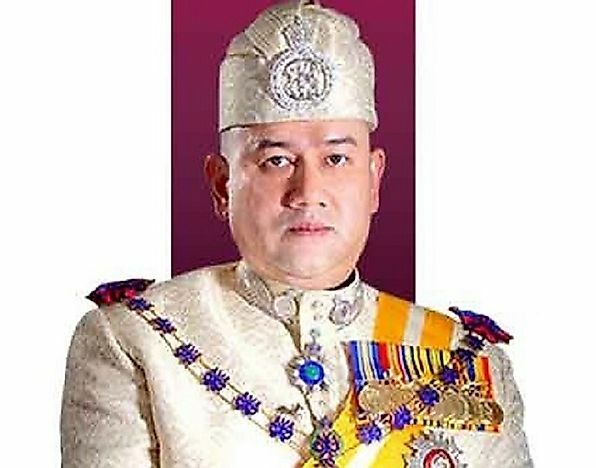 Muhammad V, Sultan of Kelantan, will become the next Yang di-Pertuan Agong in December of 2016. Malaysia is a country in Southeast Asia with a federal constitutional monarchy form of national government. Malaysia was a British colony and therefore borrows its model of governance from the Westminster parliamentary system. The head of state referred to as the King, is selected from the nine rulers of the Malay states. Rulers of the Malay state belong to the royal family, and their position is hereditary. The King’s position is largely a ceremonial position whose tasks are appointing the ministers and members to the upper house. Tunku Abdul Rahman became the first Prime Minister of the Federation of Malaya in 1957 after what is now Malaysia received its independence from the Britons. He is credited with helping the nation gain independence. Tunku Abdul Rahman is fondly referred to as the founding father of Malaysia. He was born into the royal family in 1903. He studied Law in England and returned home to serve in the government. He served as District Officer in Kulim. He was elected as Chief Minister in July 1955. He used his position to push for independence. On February 8th, 1956, Tunku Abdul Rahman succeeded in his push and signed the Independence agreement with Lennox-Boyd. The Independence agreement took effect in August 1957. Among his achievements was the formation of Malaysia in 1963. Tunku established Islam as the state religion in 1960. He was also involved in sports and encouraged youths to take part. He resigned from his position as Prime Minister on September 20th, 1970. Tuanku Abdul Halim served as the King of Malaysia for two terms. He was born in November of 1927. He served in Kedah as an administrative officer. He was appointed the deputy to the King in 1965 and served until 1970 when he took up the role of King. He was the King of Malaysia from September 21st, 1970 to September 20th, 1975. In October 2011, Abdul Halim was elected as King for the second time. He became the first Malay ruler to hold the position of King twice. He is also the oldest person to take up the position of 84 years. His term is expected to end in December 2016. Mahmud Iskandar was a controversial King of Malaysia whose reign started in 1984 and ended in 1989. Before being elected King, he was the Sultan of Johor. The ruler faced numerous criminal charges in the 1970s and 1980s. He was accused of man-slaughter in addition to several accusations of assault. He was able to evade the rule of law due to immunity from his position. Iskandar always carried a pistol in his waistband which was disturbing to the people of Malaysia. The King lived a flamboyant life until his death in 2010. Mizan reigned as the King of Malaysia from 2006 until 2011. He was born into a royal family in 1962. He got his undergraduate education in International Relations from London. He became the Sultan of Terengganu after his father’s death in 1998. He was Malaysia’s youngest head of a federal state at the time of his appointment to the throne. He was also the first King born after Malaysia’s Independence from the Britons in 1957. The King was an active sportsman engaging in golf, scuba diving, endurance riding, and even Taekwondo. The monarchs of Malaysia are elected as Kings to serve for a five-year term. The law requires that the elected ruler be a male member of the royal family and a Sunni Muslim. These rules have been observed for all the Kings since the nation’s independence.